Traci Johnson, of Crye-Leike Real Estate Services, lists the top three staging tips when showing a home to better ensure a fast sale. Buyers, especially those ready to make an offer, want to see the home when it is convenient for them. Setting the right stage for selling a home is an essential aspect of a fast sale, especially in summer when buyers are out in droves and rushing to find the right home due to relocating or setting up house before the beginning of the next school year. “If your home is not ready for a showing, whether because the yard is in disarray, the house is cluttered or because you have not made necessary repairs, the once-potential buyer will likely move on to the next house for sale, leaving yours to languish on the market,” said Traci Johnson, a Crye-Leike Realtor and leading relocation specialist. Nashville native Traci Johnson, who has been featured on House Hunters, sells to a multitude of buyers, investors, buyers relocating and luxury home buyers, a lot of whom are in the music business, who start as clients but soon become friends. 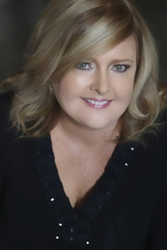 Traci, the former president of the Women’s Council of Realtors for Middle Tennessee, is a Certified Residential Specialist (CRS) and Graduate, Realtors Institute (GRI). For more information, please call Traci’s cell at (615) 812-9080 or the office at (615) 391-9080, or visit tracijohnson.crye-leike.com.